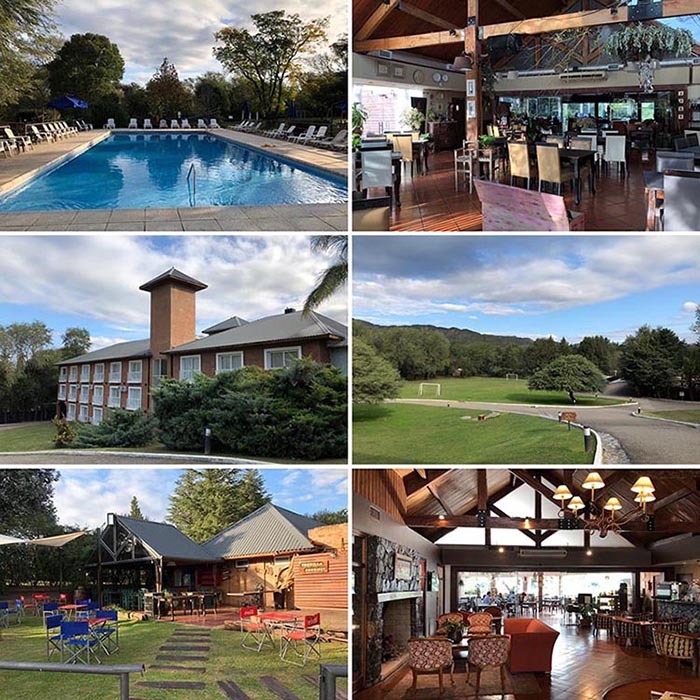 The students, faculty and staff of the School will be lodged in the Howard Johnson Hotel in Villa General Belgrano, about 2 hours drive from Córdoba airport. Please note that all students will share triple rooms. The rooms will be allocated by the organizers, mixing students of different nationalities. The hotel is situated in beautiful grounds, just outside the town of Villa General Belgrano. The hotel has sports and leisure facilities that will be available to the participants, including a swimming pool, tennis courts and areas for football, etc. There is also a small gym and spa. Free wireless internet will be provided for all participants, but please note that the bandwidth will be very limited and coverage may be restricted to certain public areas of the hotel. The lecture hall and the rooms for the discussion sessions are situated in the hotel complex. Breakfast, lunch and evening meals will be served in the restaurant of the hotel. Morning and afternoon coffee breaks will be included between teaching sessions. There is a bar where participants will be able to purchase drinks in the evenings. We will ask selected students nearer the time of the School about any specific dietary requirements they may have, and do our best to accommodate them accordingly within the constraints of the local catering options available.